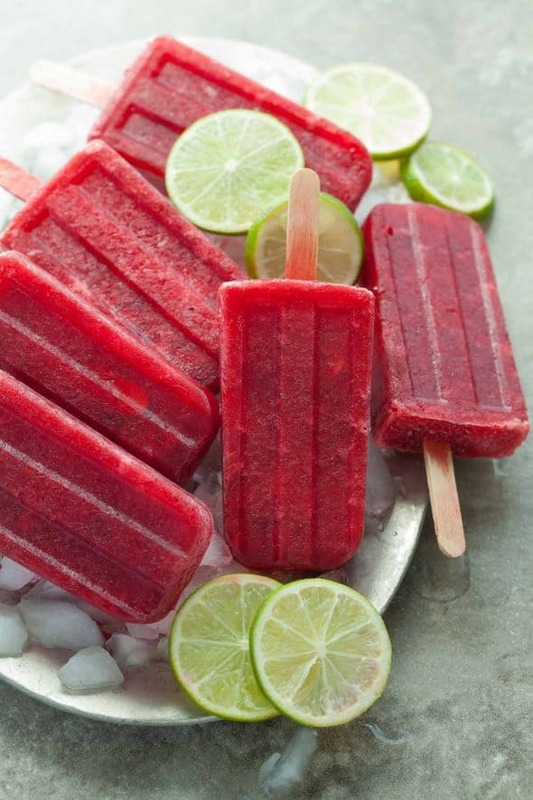 Tangy and sweet these cherry lime popsicles are a healthy and gut friendly warm weather treat. Ah, popsicles, the quintessential summertime treat. So wonderfully refreshing, they’re one of the best things to snack on when the weather heats up. 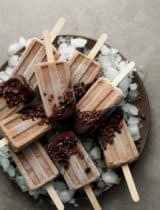 A batch of pops in the freezer makes for the perfect mid-day treat when you feel like something light and cooling. 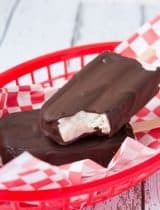 And unlike a lot of other frozen treats, popsicles are a snap to make. Just a handful of simple ingredients, a blender and a few minutes are all you really need. 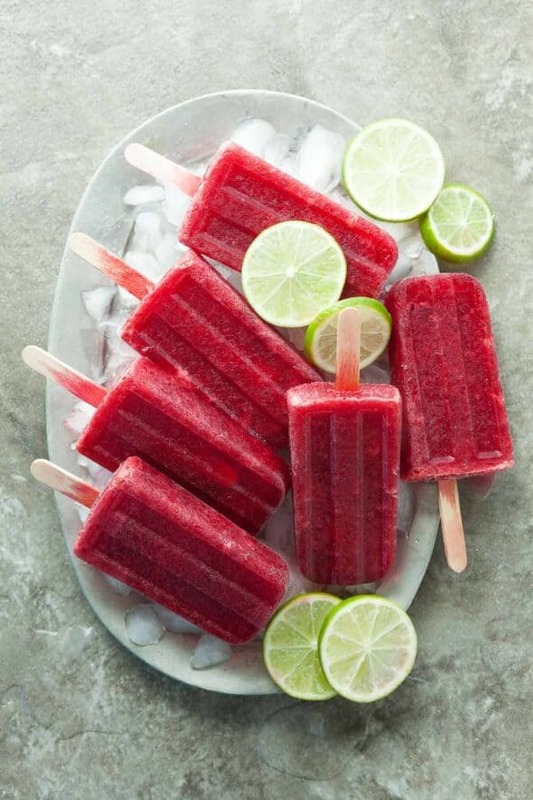 These particular popsicles combine the sweetness of fresh cherries with the tartness of limes to create an ultra-refreshing sweet/tart treat with a vivid red hue. 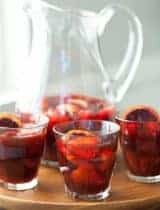 They’re quick to make (the only effort is in squeezing and zesting the limes), and bright with lip-smacking fruity flavor. 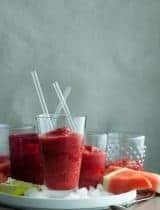 And unlike those red colored imposters masquerading as cherry popsicles of our youth, these are made with only 5 whole food ingredients: cherries, limes, coconut water, coconut water kefir and a touch of sweetener. 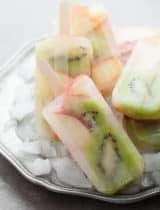 The coconut water kefir is what makes these probiotic pops. 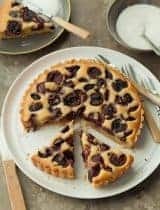 Coconut water kefir is simply young coconut water that’s been fermented with kefir grains to create a probiotic rich drink with a fizzy tart flavor so it pairs nicely with the cherries and limes. 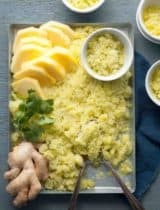 You can make and use your own (it’s quite easy to make), use a store bought brand (like this one), or just swap it out for regular coconut water if you’d prefer to skip the extra helping of gut friendly bacteria for any reason. 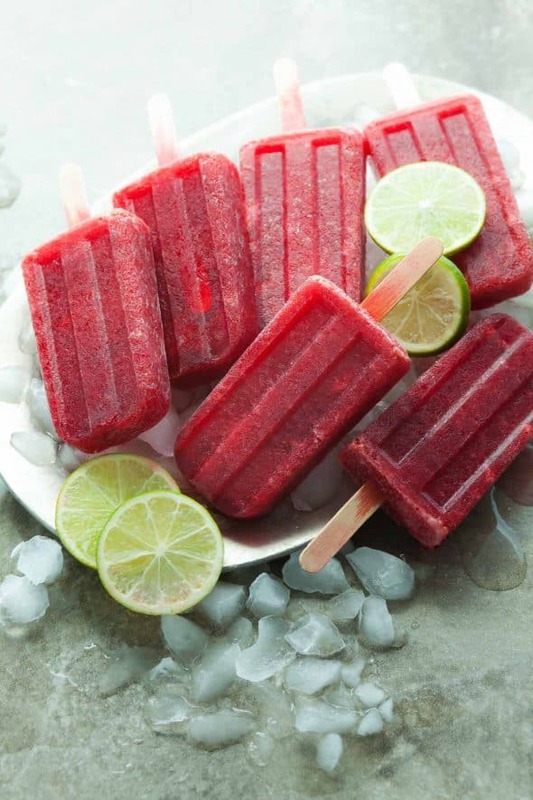 A quick blend, strain and freeze is all there is standing between you and these probiotic cherry lime popsicles, so get to it! 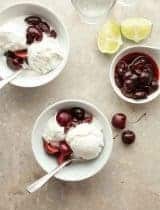 Place the lime juice, cherries, coconut water, coconut water kefir, lime zest and honey in a blender and blend on high until smooth. Strain mixture through a fine mesh strainer and divide between popsicle molds. Insert popsicle sticks and freeze until solid.